We’re living in a cross-platform and cross-browser world. Most web workers aren’t one-browser-fits-all. I have two computers: a MacBook Pro and an iMac. Even though Firefox 3 is my default browser on both computers, I regularly have at least three different browsers open to do what I need to do in my work day. Certain sites only work in Internet Explorer, while others simply behave better in Chrome or Safari. Other sites are bookmarked in Safari solely for the iPhone. Foxmarks has long been the free go-to utility for syncing bookmarks between multiple instances of Firefox. I’ve long preferred Foxmarks to Mozilla Weave which, while it syncs more information between Firefox browsers, I’ve found to be less reliable. For non-Firefox browsers, I’ve had to use my.foxmarks.com to access sites using IE or Safari that are bookmarked in Firefox. No more. 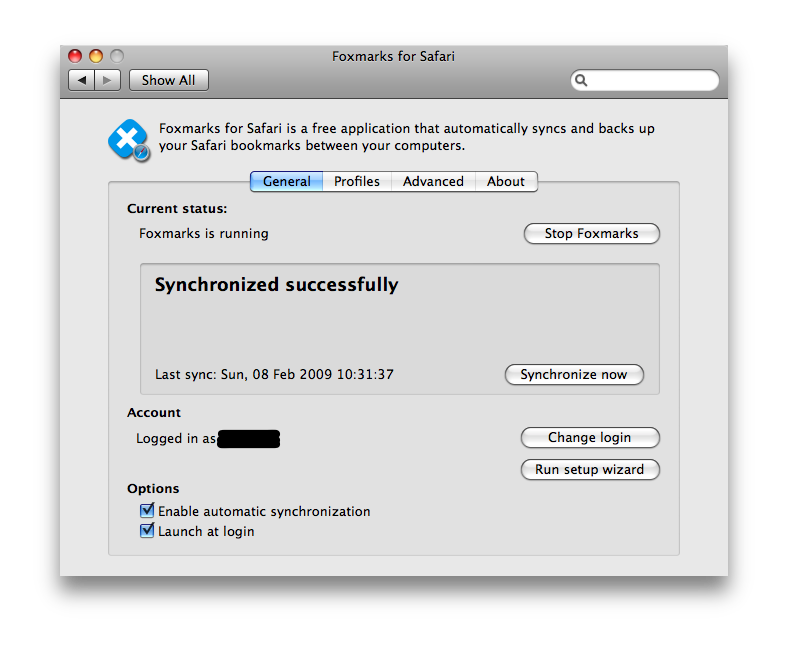 Last week, Foxmarks introduced syncing for both IE and Safari (I can’t wait for a Chrome version). 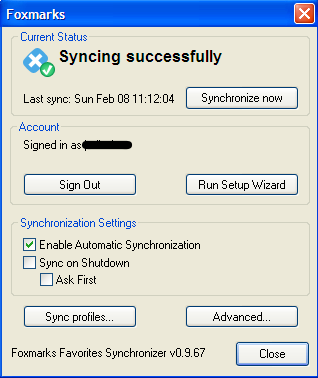 How does it sync browsers that don’t support plug-ins the way Firefox does? This solution is not quite as elegant as it is for Firefox, where it can work entirely in the browser without requiring any additional system resources. On the other hand, you don’t have to wait for IE or Safari to launch to sync bookmarks, like you do with Firefox. After a few hours of testing, I’m quite satisfied. Make a change to bookmarks in one browser, and within seconds the files are synced in all other browsers, regardless of the platform. I did notice that the Firefox “Bookmarks Toolbar” is renamed to “Links” during the sync and is accessible through a drop-down menu in the upper right corner. It does not appear that Foxmark’s new password syncing is available outside of Firefox. For site password syncing that is available cross-browser, I would highly recommend 1Password on the Mac (works in both Firefox and Safari) and RoboForm on the PC (works in IE and Firefox, among others, not including Chrome). On the PC, it only works in IE 6 & 7 and it’s a bit buggier than the Mac/Firefox syncing. It did crash IE once for me. Of all the browsers I use, I’m in IE the least so this is not an issue for me. But if IE is your mainstay browser, perhaps because a work-related application requires it, you should probably hold off on Foxmarks. Have you tried Foxmarks? What tools do you use for browser bookmark syncing? I use google bookmarks, they are available via the toolbar, but I use the “GMarks” add-on in Firefox and bookmark my “IE-Only” urls in IE as there are only a few.